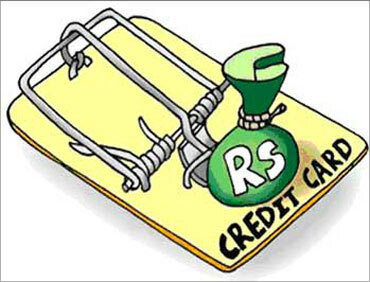 The average Indian shopper today is likely to have atleast two credit cards in his wallet. In fact in the not so recent past, this number was considerably higher with banks and credit card companies practically sending free lifetime credit cards with "attractive features" to anyone who they think fits the bill. These cards are sometimes a "surprise gift", which the consumer did not actively seek! "Well, as a customer you have the choice to use the card or return it", says Arun Thukral, MD, CIBIL (Credit Information Bureau India Limted). If you recieve a credit card, which you had not asked for you just need to cut it in two and send it back to the bank, declining the offer. The logic being the more cards you have the more tempted you will be to avail the offers on each of them and at some point in time discipline could give way to reckless spending leading you into a maze of spiralling debt before you realise what hit you! The Indian psyche towards money has always been conservative! If you have to go on a vacation or even get a car, you would probably put a time line of 6 months to 2 years, as the case maybe to make that happen by consistently saving for it month on month. However that scenario is rapidly changing. Today all of us want to own that house and car even when we are in our late 20s! It is expected to be essentials before you find a life partner or plan a family. So we opt for maximum possible loan amounts to achieve these objectives. With the want everything now mentality here to stay the differentiation between a need and want becomes blurred! When you do not want to put off spending for a utility or electronic gadget the automatic choice is to swipe your credit card. 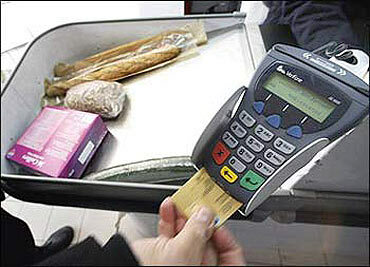 In fact swiping credit cards is now a common daily activity be it for groceries or travel. For the spender who is not disciplined in prompt repayments, debt can mount in accelerated proportions. 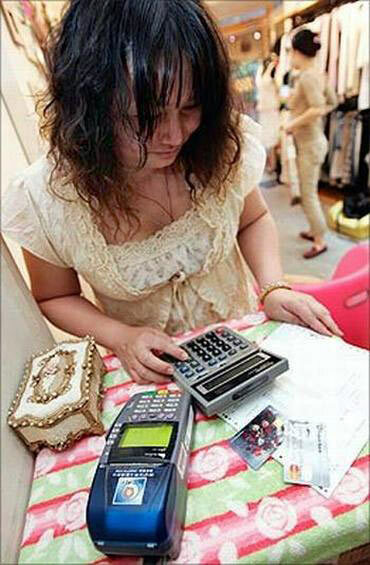 This is a time when recovering credit card and personal loan debts is the biggest challenge for banks. With the global meltdown setting the pace for things, banks have curtailed features, cut down credit limit and have now shifted focus on more secured products like home and car loans. These are expected to balance out the effects of the mounting debts of unsecured credit and also streamline focus on it. With recent RBI measures laying the ground work for cleaning up and streamlining lending in the country and CIBIL strengthening its foothold in the wake of other credit bureaus obtaining licenses to operate in India, the timing can't be more perfect to keep a check on borrowing. On the challenges that CIBIL currently faces in streamlining credit operations in the country, Thukral says, "The two top challenges include the lack of a unique identification number for every individual in the country and poor data quality". He feels that due to the intense diversity within the country there is no standardisation for most of the data, right from individual names to locality names! Also, a part of the population do not have pan cards or sometimes even birth dates leading to incomplete data. He feels a unique identification number for everyone will solve the problem and help rapid processing of credit reports. To ensure the genuine borrower has a fighting chance to enjoy better interest rates banks are now performing a periodic portfolio review of their existing borrowers to help them weed out defaulters and take measures specific to them. Until now this was not the case but soon such streamlining could become the norm. Meanwhile, CIBIL has already started tracking customers on the basis of their date of birth, PAN and other details to monitor individuals who change locations and residences frequently. CIBIL will thus have a comprehensive picture of an individual's borrowing activity, across all products and locations. This will enable them to provide email alerts to banks and financial institutions anywhere in the country, whenever a defaulting borrower applies for a new loan. This will ensure that reckless borrowers are kept in check. These measures will help the genuine borrower enjoy the benefits of credit at better interest rates! Anyone can manually send a request for a credit report to CIBIL, details of which are available at www.cibil.com. Though currently you can pay for this report through CIBIL's online payment gateway, you cannot access your credit report online. However, this service too is expected to be launched in the start of the next financial year (April 2011). Having access to credit reports is a definite step for the genuine borrower with an excellent credit profile to increase his negotiating power. Though it is not a very active phenomenon yet, very soon customers will be able to exercise this option more effectively. So how can you ensure your credit report gives you this negotiating power? Well, what can be the doom for a reckless spender can be an excellent tool for the disciplined borrower! It can all stem from how you use your credit card. This can be the single most important factor in improving and increasing your credit score. Can I opt for a credit card ? It's my very first one! Also, I do not have any other debts. This makes sense for your credit score. 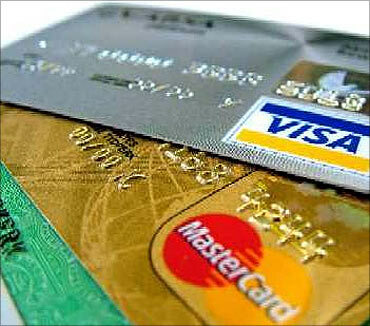 Making use of a credit card judiciously will help you improve your credit score. Just make sure to choose a card that is suited for you from a well known brand. Opening a new credit card account. 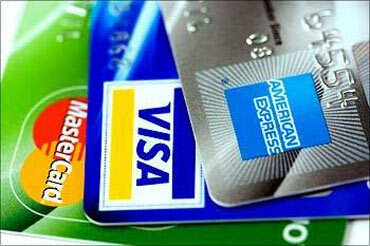 When you already have a couple of credit cards, opening a brand new credit card account can cause a dip in scores. 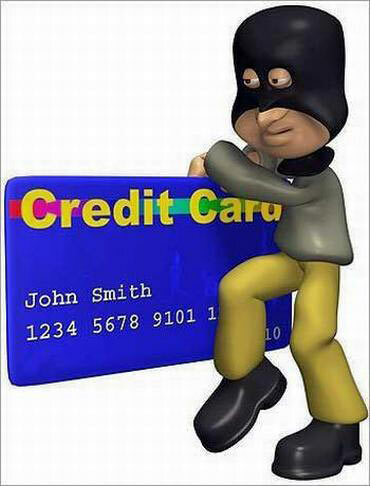 By all means obtain a new credit card if you are not planning to get into more debt, else think several times before opting for one. 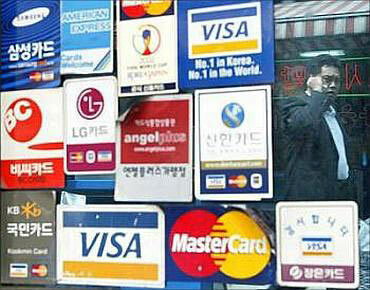 Keep a tab on the credit limit of your credit card. Open a credit card account with a company that will provide you with the highest credit limit possible. 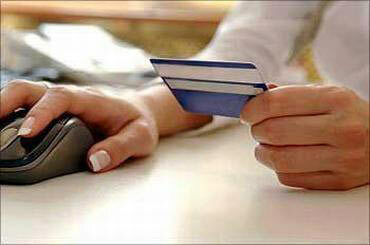 High credit limits, even if they are not used will add merit to your credit score and improve it. The number of years you hold a credit card account has an impact on your credit scores. Hence, let your oldest credit card be, if you must close a card opt for the most recent cards and close them one at a time, maybe once a month over a period of time as closing them too quickly could also affect your credit score as your available credit limit will take a dip in one go. If you have never defaulted on a payment for a few years, make use of your good repayment track record and speak to the bank officials for a better bargain. Request them to lower your interest rate citing the good track record you hold with them. 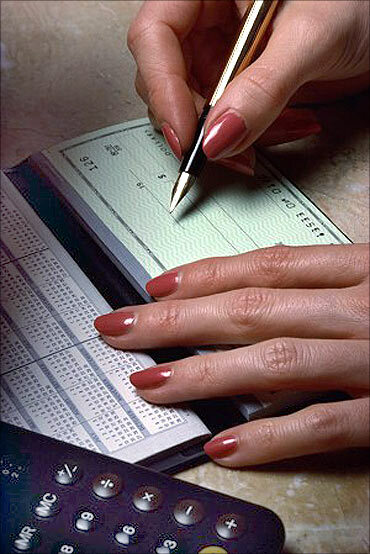 Keep following up with your bank from time to time and you may just get your wish! You may have purchased your most recent card because of the higher credit limit. If at a later date you wish to close some of your cards and you know it makes better sense to close the most recent card, you have a dilemma. The most recent card has the highest credit limit. The oldest card has the lowest credit limit. What do you do? In such instances, if you have a good repayment track record, approach the bank and negotiate for a higher credit limit especially since you have been their customer for quite a few years. 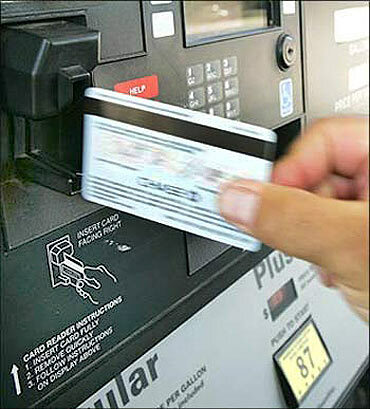 Most banks will oblige, then you can go ahead and close your most recent card. Never exceeding 40 per cent of your credit limit has a very beneficial effect on your credit score. 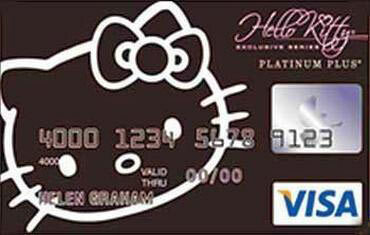 This shows your credit limit is high but you have not burnt it up and have plenty in reserve. This logic helps you attain a much higher credit score. This is the same logic that suggests you should not close any credit card accounts, as they collectively will provide you a high credit limit, which is good for the score. Try not to encourage too much credit card debt. Be wise and pay the dues quickly and keep rotating your cards. Paying off dues will cause a spike in your credit score, which is highly favourable.